We all know what’s one of the most fun game activities – going to raids with friends! You can do that on OldSchool RuneScape too. 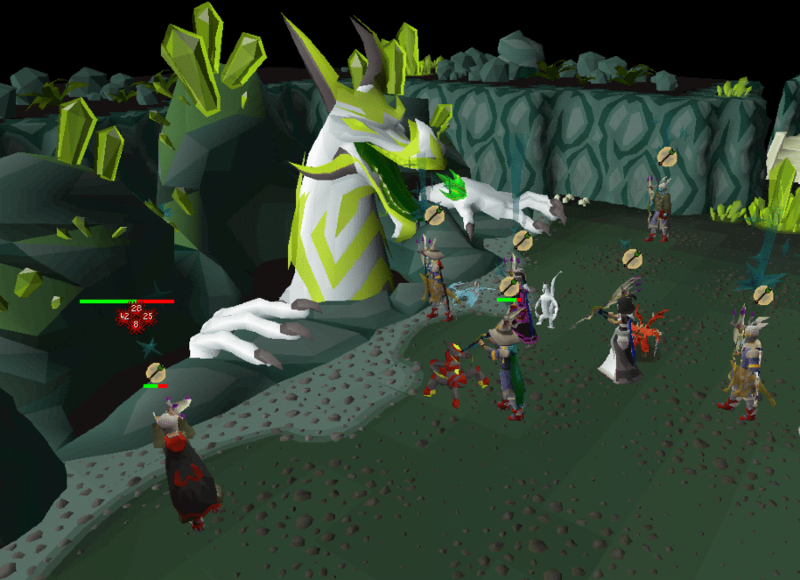 OSRS Raids are made so a bunch of high-level players can try to make to the end of a particular amount of puzzles, finding resources and processing, as well as combats. In order to pull through, it’s important that the team works well together. It’s not so easy if you just try to make it through a raid with random people you can’t click with. To find raids OSRS, look for a brown star icon on the map. • Pick a good leader with stable internet access (no, that’s not a joke) and make sure there’s a replacement for him if he leaves. • Play with people you have good communication with and enjoy playing with! Make sure all of you want to play as much as the rest, so no one leaves and messes up the participation poins for the whole team. • You need to be prepared as good as possible because dying, aside from not being fun at all, can damage the points of the whole team and lower significantly your chance of getting an unique reward table. That’s why you can buy cheap OSRS gold and make sure you’ve bought everything you need to be at your best during the raid! There are currently two raids in the game: the Chambers of Xericand the Theatre of Blood. Chambers of Xeric is the first raid released in OSRS. Players can engage with it since the 5th of January 2017. It’s also known as “Raids 1” and “CoX”. You and your group’s goal is pretty much to explore a huge cave system underneath Mount Quidamortem, which was built by Xeric. How to access it? You can do it real quick through the Lovakengj Minecart Network. You need to grab a minecart control scroll from Miriam, a worker in the minecart network, and bring it to Stuliette in the mountains. In order to do so, you must have earned 65% Lovekengj favour. The other way, in case you’re doing that raid for the first time, is by heading to Shayziens’ Wall and making your way to Mount Quidamortem. You might have to fight your way through lizardmen. Before you leave it’s best to talk to the Mountain Guide in order to establish a two-way transportation between the mountain and the Wall. If you’ve done Chambers of Xeric and have received the ancient tablet as an reward, you can simply use it on Xeric’s talisman and teleport directly to the mountain. Once you’re there, you need to remember one thing: team work is important! The Chambers of Xeric has an unique party finding system which can determine how strong is your team. This affects the strength of monsters and bosses, as well as the requirements for the skilling rooms. You may bring your own supplies, but you are going to have to utilise the chambers’ resources to defeat the bosses, that’s part of the raid. The number of players in one raid can go from 1 up to 100. To start the raid, you need a leader. The team will basically be the leader’s Clan chat, which other players will be able to join by typing in the clan chat’s name or requesting to join it. When you’re all set and ready, the leader enters the chambers where is the starting room. He will need to confirm that all the players are in the room and when this happens, the mechanics will be calculated and no one would be able to join the team anymore. If the leader leaves, a new leadership is assigned to whoever had the ability to kick players from the chat. If there is no person with such ability, you all get kicked out of the raid! So it’s best to have a trustworthy leader with good internet access. The whole thing is about fighting multiple demi-bosses with increasing strength and finding resources and solving puzzle rooms. In the end, you face the final boss of the raid! There are three floors in each raid and on the final floor, the boss is always waiting. At the end of the first two floors you can find an energy well to fully replenish your energy. There is a Challenge mode to the Chambers of Xeric in which all combat and puzzle rooms are added, so it has four floors and a linear layout. It’s significantly harder because the enemies have increased stats and it’s longer. The rewards are based on participation points, the more you have, the better your chance is of obtaining unique items. If a player dies during the OSRS Raids or leaves early, they lose 40% of the points they had before that. If the points had very few personal points, the team’s points will be reduced when he dies. So be careful who you pick for your raid! The current maximum points a player can have is 131,071. There is an unique drop table which gives a player or a few players unique rewards. For every 8,675 points obtained, there is 1% chance to obtain unique loot. The chance is capped to 65.7% which is 570,000 points and if you have more than that, they are sent for the roll for a second loot table. You can have up to three unique drop tables per raid. if you don’t get the table, random resources will be chosen and each player’s qualities are taken in consideration when the quantity of their rewards is being calculated. Same goes with the unique loot table – the better the points of a player, the higher his chance to receive the unique reward. The rarest drops on the unique loot table are the elder maul, the kodai insignia and the twisted bow which is exremely valuable. Aside from the rare items, you get runes and ammo, herbs, ores, gems, and some other stuff such as clue scrolls, saltpetre and dynamite. An interesting reward you receive from the Challenge mode of the raid is Metamorphic dust which reskins an omlet. A very rare reward one may get is the Olmlet pet. For more information on the second raid in the game – the Theatre of Blood, stay tuned for our second article on Raids OSRS! This entry was posted in How-To Tips & Tricks, Latest OSRS News, Old School RuneScape, OSRS Mobile App and tagged chambers of xeric, osrs raids, osrs raids 2, osrs raids guide, osrs raids rotation, raids 2 osrs, raids osrs, theatre of blood. Bookmark the permalink. ← Let’s Get That Mining XP Going!